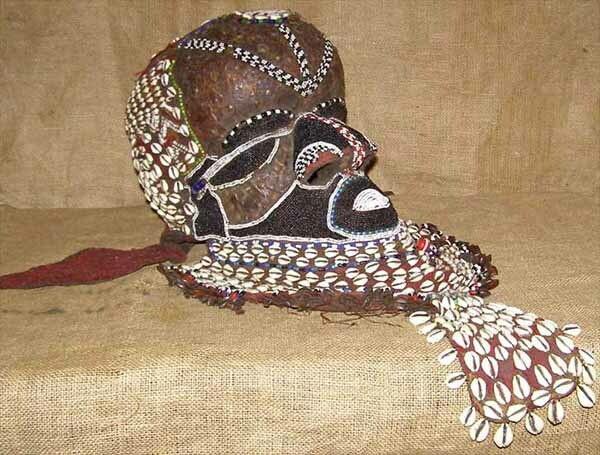 This magnificent Kuba (Bakuba, Bushongo) Bwoom Mask is 18 inches from the chin to the back of the crown, (not counting the beard) and 9 inches across the top of the crown. 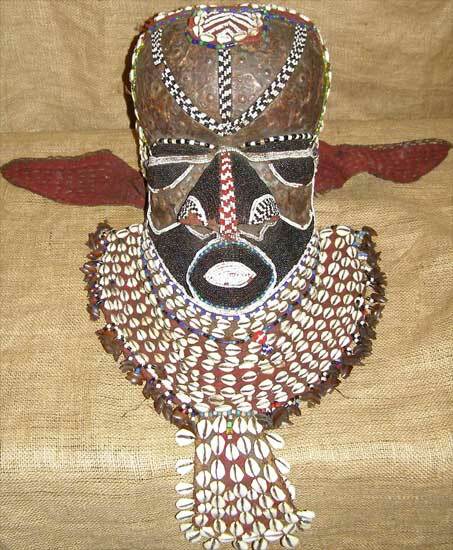 The wooden head is adorned with bronze sheeting on the forehead. 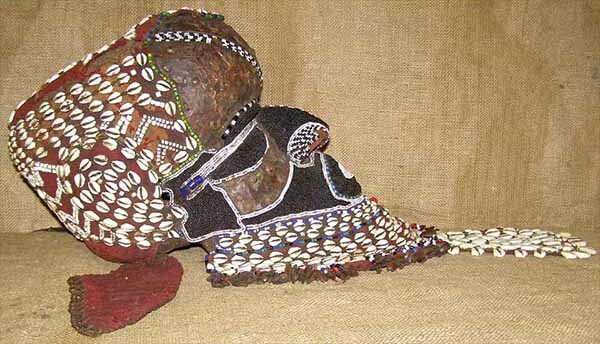 The nose, eyes and cheeks are covered in delicate black beads. 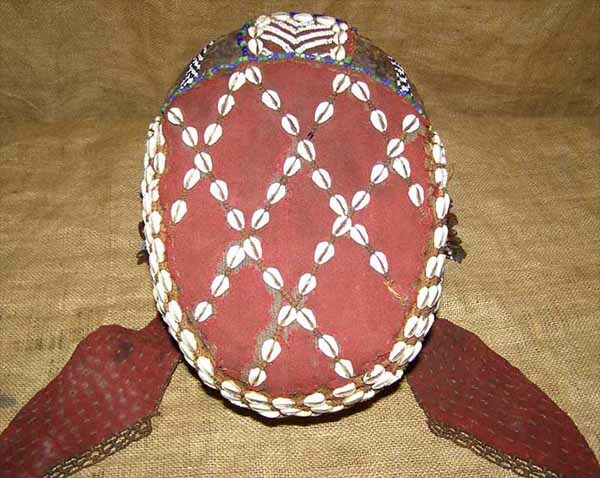 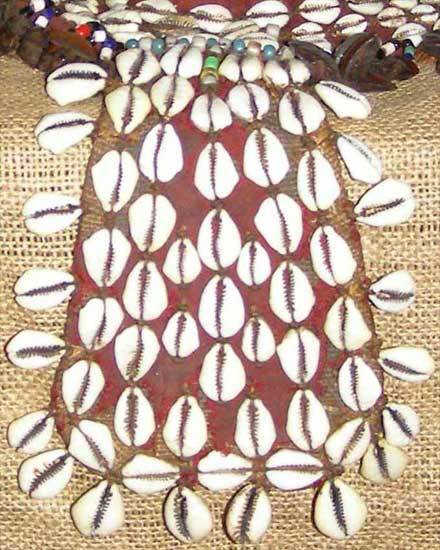 Cowrie shells and beads decorate the burlap skirting as well as the whole mask. 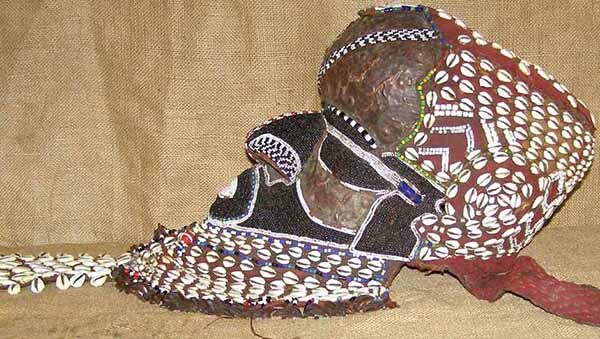 Truly a stunning piece!